When you are preparing to have a professional crew come in and paint the walls in your home, it is important to choose the right type of paint finish for each room. This is true whether you are having one room in your home painted or several, as different paint sheens can affect the room’s overall aesthetic and the longevity of your paint job. 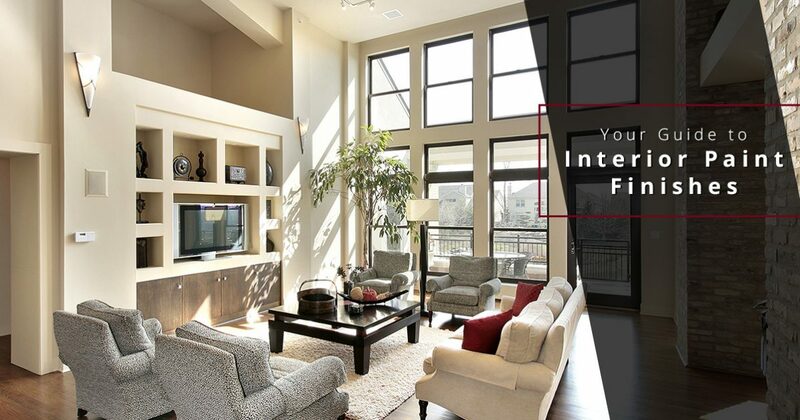 At Robinson’s Painting & Home Improvements, LLC, our interior house painting pros are happy to review your finish options with you ahead of time. We want to ensure your project provides a lifetime of beauty to your interior space, while also making your walls easy to clean and maintain. Check out the helpful information about paint finishes below, then call our residential painters for a quote! High-gloss. This type of finish is hard and very durable, making it ideal for doors and cabinets. It reflects the most light and it is very shiny. Semi-gloss. This high-durability finish still delivers a good amount of shine, and it is a popular choice for walls and trim work. Satin. Excellent for high-traffic areas, this type of sheen offers a rich, velvety luster that makes it very easy to clean and maintain. Matte. Because this type of finish is highly pigmented, it offers the most coverage. It absorbs light rather than reflecting it, and it can be difficult to clean. Because of their varying degrees of durability and sheen, different finishes may be better suited for different rooms in your home. Our painting crew is happy to help you choose the best finish for your specific project, as well as make our professional recommendations. For the most part, the bedrooms in your home are considered low-traffic areas. Therefore, it is best to choose a finish that gives you the most bang for your buck. Because matte finishes are so heavily pigmented, you can cover more space with less paint, making it perfect for guest rooms and adult bedrooms. A satin finish may be better suited for children’s rooms, as it can be cleaned easily and withstand a lot of abuse. If you are like most families, you spend a lot of time in your family room. From family game night to entertaining guests, this can be a very high-traffic room. You want a paint finish that is durable, yet delivers a slight amount of sheen for aesthetic purpose. Usually, homeowners are very happy with a satin finish or a semi-gloss finish, as these finishes strike the right balance between shine and durability. The kitchen is often referred to as the command center of the home. It is a central gathering place on special occasions, and the wrong finish can show fingerprints, grease splatters, and other imperfections more so than others. Likewise, bathrooms are often exposed to high moisture levels that can leave a flat finish paint looking old and grimy. High-gloss and semi-gloss finishes are wise choices for these rooms, as they are durable and easy to clean and maintain. Most homeowners don’t use their formal dining rooms on a regular basis, and this eloquent space likely doesn’t see many fingerprints or smudges on the walls. However, for the times that you do use it, you want a finish that is clean and smooth-looking with a little bit of luster. An eggshell finish is a popular choice for dining rooms because it is so easy to maintain, and its low sheen lends itself well to the formality of the space. Are you ready to tackle that interior house painting project you have been putting off? 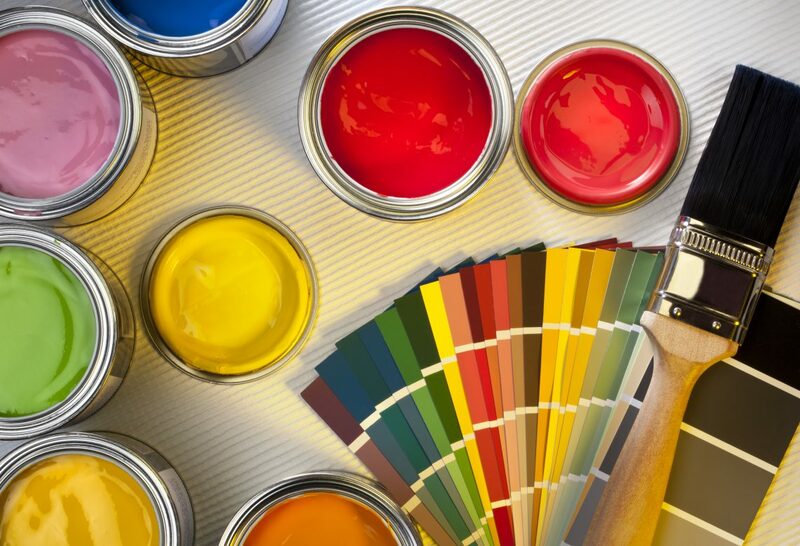 If so, the residential painting experts at Robinson’s Painting & Home Improvements, LLC are here to help. We have more than 20 years of experience helping homeowners just like yourself, and we are happy to help you choose the right paint colors and finishes for every room in your home. Contact our team today to request a free quote. We can’t wait to speak with you!